Caroline Flack has revealed that she hasn’t spoken to former boss Simon Cowell since she signed up to Strictly Come Dancing, The X Factor’s rival show… And ITV’s rival channel come to think of it. Caroline worked with Simon for three years as the host of The X Factor’s sister show, The Xtra Factor, but the 34-year old was unceremoniously axed before the newest series started, and replaced with Radio1 DJ Sarah-Jane Crawford. Hmm. Considering it’s been a long ol’ time since Caz left the ITV show we do ever so slightly wonder just how good these “good terms” are. She also told us that “it was time” for The Xtra Factor to shake things up and get a new person in. Well you might think so, Caroline but as much as we love Sarah-Jane, we’re still not quite over it. Even though Simon hasn’t sent the presenter a good luck card and bouquet, there is definitely no bad blood between Caroline and her former co-host, Olly Murs. Olly dancing around in some tight, sequined trousers? 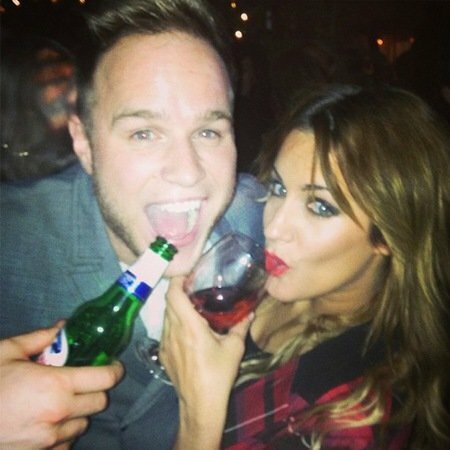 Caroline Flack, we like the way you think. It won’t be long until Caroline is back on the small screen for our viewing entertainment and when we spoke to her she was clearly excited to get underway, revealing that she has wanted to be on Strictly Come Dancing ever since the show started. But as a girl after our own hearts she told us her actual fave thing about being on the glitziest show on television – THE GLITTER. Go on, Caroline – you know it makes sense! We definitely can’t wait to have Caroline, or Strictly Come Dancing, back on our screens. And if her official Strictly photo is anything to go by, she is certainly a girl who can pull off a sparkle!